50% off sale @ estetica! Estetica, one of my favorite pose stores on the grid, is having a moving sale for three days, so everything is 50% off from Nov 5 (today) to the 7th! You can find single poses (male and female), group/couple poses, prefabs, and posing furniture here! Single poses go for as low as 13L each(!) and there’s even dollarbies, that can’t be marked any lower than they currently are! buttons. 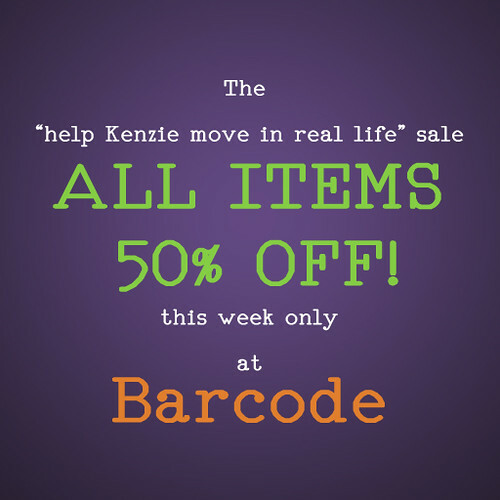 is having a moving sale! Starts today July 23 and ends July 26, 2010! All items are priced either 10, 25, 50, or 100L! Furniture, tattoos, prefabs, and super cute flats are all sold here! Edit= sale has been extended until August 6.
buttons. has a new dollarbie skybox which is totally cute. It’s only 13 prims (with the sunbeams and skybox; 11 prims without the sunbeams) and has a 7.2 x 7.7 footprint! It’s also copy/mod and includes sunbeams which I removed for this post. Anyway, here’s freebie home decor for you! The only non free/cheap thing is the mailbox from Barcode. -You have to camp 30 minutes to get the chair and table from Muu Workshop. 15 minutes on one camping chair for the chair, and another 15 minutes for the table. -At Yak and Yeti, all furniture is displayed in the store and you can buy them from their displays. -All chairs shown have multiple sits.